Perthshire Caravan Company was established in 1936 by Peter and Chris McCormack, the parents of the present owners, Ian and Peter McCormack. Taking time out from his fruit shop business in Dundee, Peter McCormack Snr searched for ground from where he could operate caravan sales and hire. Eventually he arranged with the farmer at No. 2 Holding Middlebank to purchase that area of ground which is still occupied by the company today. The initial selling stock was chosen from Jubilee Caravans, Gibson Eccles and Pratt Trailers because at that time the company name was Perthshire Caravan & Trailer Company. Everything was arranged in time for the approaching summer of 1937. Advertisements of the time read, ‘English factory built Jubilee Caravan for sale or hire’. Apply Perthshire Caravan & Trailer Company, Middlebank. Errol. It was on the 4th June 1937 that the first caravan was sold. After disruption caused by the war years, the business re-opened in 1946 as a hiring company. In 1950 the company became agents for Scott Roadcraft caravans (which were built in Blackford Perthshire) and Glamis Caravans. This enabled the company to sell caravans once again. Other franchises followed and by 1958 the company represented many well-known manufacturers – Eccles, Sprite, Berkeley, Pemberton, Cresta, Willerby, Bessacarr, Cheltenham, Paladin, Thomson, Fairholme, Penguin and Safari caravans. In 1968, showroom accommodation was built and ground was acquired to operate Loch Earn Leisure Park, on the south shore of the loch at St Fillans. The caravan showroom was enlarged in 1974 and a sister company Perthshire Caravan Company (Motors) Ltd., was formed to handle the sale of new cars, a Ford franchise having been obtained. A new car showroom was opened in 1977 and stood on the exact site of the original building erected in 1936. At this time, it was logical to enter the motorhome market. Difficulty in obtaining deliveries of new models prompted the Company to manufacture their own conversion, Autocruiser on Bedford, Ford. V.W. and Mercedes chassis. 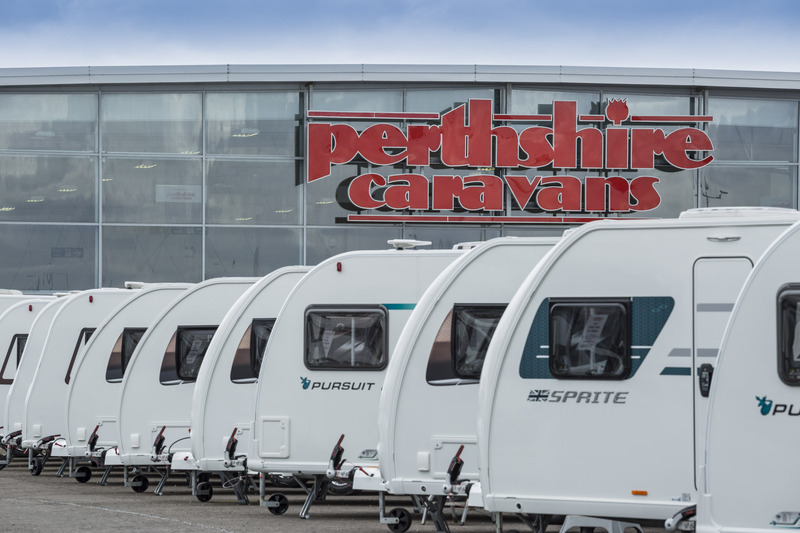 Today, Perthshire Caravans Ltd holds the franchises for Autocruise, Auto-Sleepers, Autotrail, Bailey, Bessacarr, Burstner, Elddis, Escape, Rapido, Swift & Tribute. 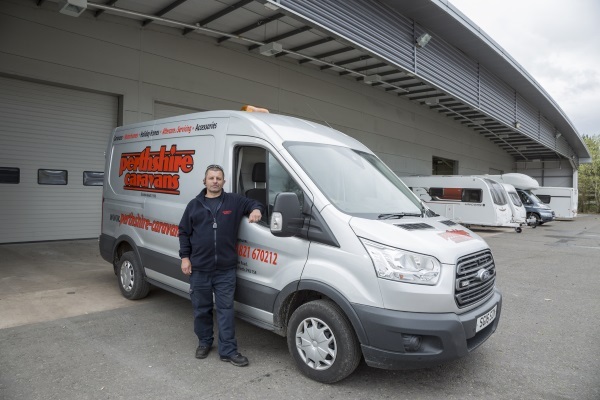 Perthshire Caravan Company holds the franchises for Atlas, Bailey, BK Bluebird, Sprite, Swift and Willerby. The caravan park division of the business was expanded with the acquisition of Inchmartine Caravan Park in 1981. Red Lion Holiday Park at Arbroath in Angus, was purchased in 1988. Investment in the caravan parks continues with a major redevelopment at the very popular Loch Earn Leisure Park and the construction of a multi million pound leisure complex at Red Lion Holiday Park in Arbroath. At any given time around 100 new and used motorcaravans and over 100 caravans are in stock, putting Perthshire Caravans at the forefront of the Scottish caravan and motor caravan industry. On the evening of Monday 25th May 2009 a fire destroyed our Perthshire Caravans premises located at Errol. We lost the majority of our new stock of caravans and motorcaravans. Our accessory shop, showroom, workshop and offices were totally destroyed. After the fire the company continued to function out of Portakabins and a smaller workshop that was not affected by the fire. During this period a new building was planned and construction commenced in September 2009. The building was completed in April 2010 giving the company a new 4750 square metre (51000 square feet) state of the art facility. This has hugely benefited customers and the operations of the business. Fortune grew out of misfortune. In Summer 2018 an additional Service Centre was opened doubling the workshop capacity of the business. New features include an MOT test station with ramps suitable for any size of vehicle, bodyshop preparation area and dedicated wash/valet facilities. 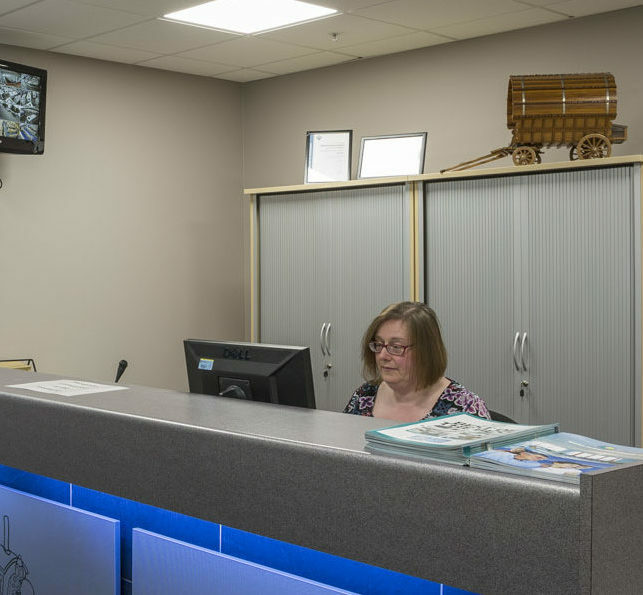 The multi-million pound leisure complex development at Loch Earn Leisure Park includes restaurant, bar and fitness facilities overlooking the breath-taking ‘mirrored glass’ beauty that is Loch Earn. The new building is due to open in 2019 and is an exciting new chapter for the holiday park and our business. Ian Snr retired in recent years having spent the whole of his life dedicated to running the business, taking it to new heights and developing it from a small, modest business to the size it is now with nearly 100 employees across various premises. On leaving school, Ian Snr worked in every area of the business from the wash bay right up to the role of Managing Director. His knowledge and expertise of the industry are second to none. The Directors who now run the business are brother and sister team Ian (Jnr) and Claire McCormack – the son and daughter of Ian Snr. They have both been around the business all of their lives and therefore have years of experience in the industry. This is a huge reason the business is the success that it is – such a specialist industry requires the insider knowledge that the duo (and family) have. Other companies cannot replicate this. Driven by a passion for their family legacy, Ian and Claire are taking the business from strength to strength with an exciting, fresh, strategic approach and strong leadership.